This was bought new in October 2017 and literally worn a few times and as a result is in perfect condition. It comes complete with its two outer boxes and an attractive blue presentation case, instruction manual, two warranty cards and and hang tag. This is a great looking watch for the James Bond fan. Since 1995 007 has undertaken has most dangerous missions wearing and Omega Seamaster and this Commander’s model was made in tribute to his role in the Royal Navy. It’s the perfect size for a gentleman with it’s 41mm stainless steel case that features a blue ceramic bezel, Liquidmetal diving scale and red rubber covering the first 15 minutes. The dial is polished white ceramic with 12 blued indexes, the word “seamster” written in red and blued skeleton hands. The second hand is finished in red and bears the 007 gun logo. It comes with a choice of two straps. You may prefer a stainless steel bracelet to perhaps NATO look with the Navy colours. It is a limited edition of only 7007 worldwide with this one being No.5096 which is engraved on thecae back and official certificate. While the looks are striking you can be assured it has an equally impressive movement too. You can view the exclusive OMEGA Calibre 2507 movement through the glass casebook where you will see the rotor decorated with a 007 logo. 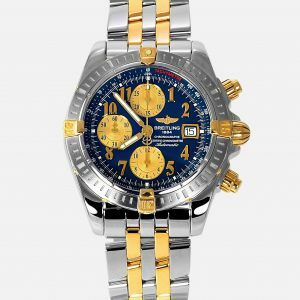 It features a COSC certified co-axial movement with a useful power reserve of 48 hours. Here is some technical information.